Inside a robotic cycle park Jump to media player Spencer Kelly goes underground to see a robotic bike park in action below Tokyo's streets. Testing the bicycles of the future Jump to media player Testing personal transport devices - but will they ever replace the bicycle? Tokyo has many cyclists but limited space for parking bicycles on the city's crowded streets and pavements. The solution is to park your bike underground. 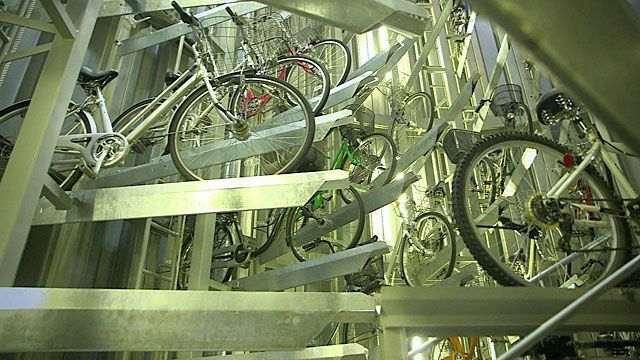 Spencer Kelly goes behind the scenes to see how an underground robotic bike park works.